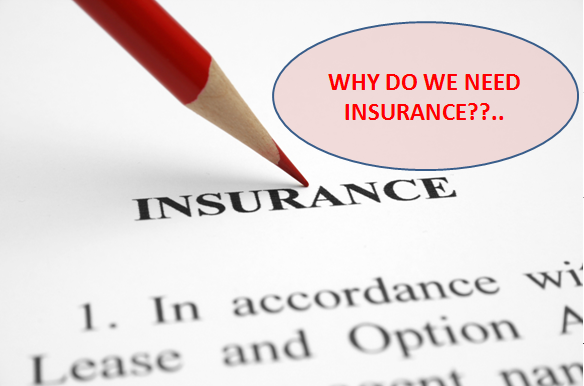 What Is The Purpose Of Insurance? Insurance is something that most people don’t like to think about. This, however, is hardly surprising, because insurance means adding on an extra cost to something you have already paid for and then not knowing whether you will ever benefit from that added expense. In all likelihood, you will not receive any benefit from taking out insurance, as the only advantage of being insured is that you will be compensated should your insured item become damaged, lost or stolen. But this doesn’t necessarily mean that you should never be insured, as you never know what the future holds. So whilst you probably won’t benefit from having insurance, there could come a day when being insured saves you from losing a lot of money. 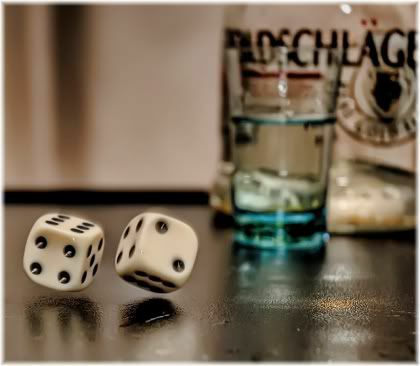 Not having an insurance policy means taking a gamble and hoping that things will work out for the best. It’s therefore up to you to decide whether you are willing to take a risk on something, or whether you want to protect yourself from that risk by being insured. That’s basically what the purpose of insurance is, to provide you with a form of protection against a possible risk. When you are protected, you will be compensated for your loss. When you are not protected (i.e., not insured), you will not be compensated for your loss. There are some risks that pose such a large potential financial loss that you are advised to insure yourself against them, even though the risk of them ever happening is very small. Typically, this includes risks related to your home, your car and your health. 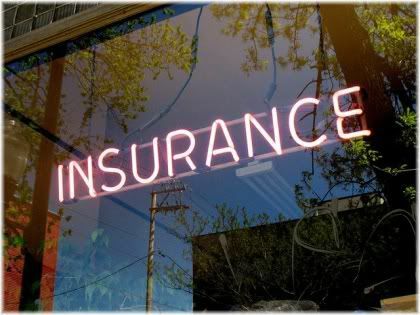 Such types of insurance are considered to be primary insurance policies, meaning that you should insure yourself against those risks even if you do not insure yourself against any other risks. The reason for this is simple. Whilst you may be able to recover financially from losing small and relatively inexpensive items, such as a laptop or stereo equipment, large losses, such as those relating to your home, are much more difficult to recover from by yourself. Some losses can be very difficult to recover from without help. In the event that something were to happen to your home, for example, being adequately insured could mean the difference between having the money to rebuild or repair your home, or losing your home and becoming homeless. Being insured becomes even more important if you have dependents who rely on your source of income, especially, when that income is limited to begin with. Whilst wealthy individuals may have the funds to recover from and absorb large financial setbacks, most people do not have large amounts of money saved up in reserve for emergencies. In such cases, not having insurance will therefore not only adversely affect your quality of life, but will also affect the quality of life that your family is able to lead. Having the right insurance policy will protect those who you care about the most. So as a general rule, just remember that in most cases you won’t benefit from having insurance, as only a small percentage of people ever need to make a claim on their policy. So when it comes to small or inexpensive items, you are therefore probably better off saving your money and not insuring them. But when it comes to large expensive items, even though the chance of you ever needing to make a claim is still relatively small, the size of that loss means that you would be wise to insure yourself against it nevertheless. What Important Things Should You Insure? When taking out insurance it’s not necessary, or wise, to insure everything you own. Rather, it’s better to strategically insure valuable items or things, so that just in case something happens to them, you will at least have peace of mind that you will be compensated for it. If you become ill, and are unable to work, having disability insurance will allow you to cover your lost income while you recover or look for alternative employment. 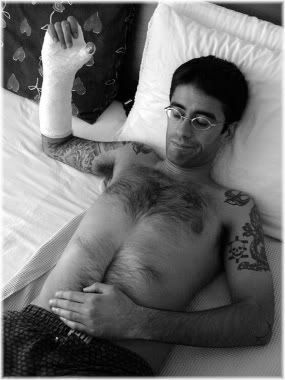 How would you support yourself if you were suddenly unable to work? Such a policy will pay you up to a certain limit so that you still have some funds coming in. Providing that you have set your coverage limit high enough, you will then be able to continue receiving that income until you are able to get back to work. For those who have a home mortgage to pay, have children to support or are the only source of income for their family, having disability insurance can prove to be a real life saver and something that you will be glad you had the foresight to take out. If your house burns down in a fire or is destroyed in a natural disaster, then being insured will allow you to rebuild your home and recover your life without taking too much of a financial hit. Your home is likely to be the single largest expenditure in your life, and therefore, is something that you should adequately protect. A standard home insurance policy will cover you against a set number of risks which are common to all homeowners. In most cases, the coverage provided under a standard homeowners policy will provide adequate coverage for most people. However, certain people, such as those living in areas which experience very cold weather in the winter or are at risk from flooding, face extra risks that they should either extend their existing policy to cover them for or take out an additional policy to provide them with the level of coverage that they need. Considering the fact that your home is probably the most expensive thing that you own, being insured against the destruction or damage of your home is definitely something that is worth having. If you are involved in a car accident and your car becomes damaged, being insured will cover the cost of your vehicle’s repairs and pay for any medical treatment you need if you are injured as a result of your accident. Car insurance can also help to protect you from expenses resulting from damage you cause to other people, other vehicles and property. Auto insurance can even be taken out to help cover the costs of any legal action that is taken against you. Car insurance covers you against a wide range of potential losses. As vehicle related expenses can be very large, most countries will require you to take out car insurance by law. However, the type of coverage you choose to insure yourself with will determine the level of coverage that you receive, and therefore, the amount of financial risk that you are exposed to on the road. Having a greater level of coverage will mean that your level of uninsured risk decreases when you are on the road, but at the same time, will result in you having to pay higher premiums. 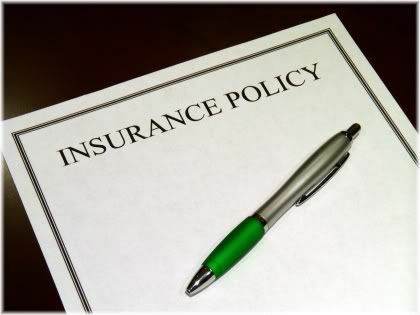 So as with any type of policy that you take out, the level of protection you are receiving from a particular policy must be balanced against the cost of maintaining that policy. Health insurance is an absolutely vital type of insurance policy to have if your country does not provide you with free health care via a national health service. 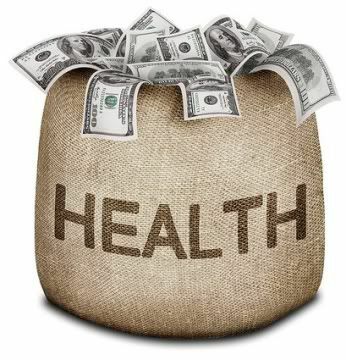 Medical related expenses can be astronomically high should you find yourself in poor health. Medical related expenses, such as those for drugs, lab tests and doctor/hospital fees, can be some of the largest fees you are likely to encounter in your lifetime. These expenses will generally rise in line with your level of health. So the worse your health is, the more you are likely to need to pay for such expenses, and the worse you become injured, or the worse you suffer from a disease, the higher such costs are likely to be. If you do not have a health plan, or do not have an adequate level of health coverage, you may find that you are unable to receive the most appropriate treatment or drug for your condition. In serious cases, this could even put your life at risk. Life insurance is not something that you personally benefit from, as it is designed to provide your dependents with money in the event that you die prematurely. This type of policy is therefore most useful if you are the sole source of income for your family, and you have people who rely on your income to carry out their normal everyday activities. Life insurance provides your loved ones with a source of income after your passing. The first is called term life insurance. This is designed to pay out a death benefit to your dependents if you die within the term that you have insured yourself for. If you die outside this term, however, your dependents won’t get anything. Term life insurance can be useful if you just want to cover certain important periods in your life. For example, you may want to take out a term policy so that if you were to die suddenly, then your family would still have money to pay for the mortgage or have money for the children to go into full-time education. Permanent life insurance provides your dependents with a death benefit regardless of when you die. As a result, you don’t have to worry about not dying within a specific term and your dependents getting nothing as a result. Permanent policies, however, are usually a lot more expensive to maintain, so not everyone can afford to take out such a policy. The insurance industry is an absolutely massive industry, and makes up a significant chunk of any developed country’s economy. 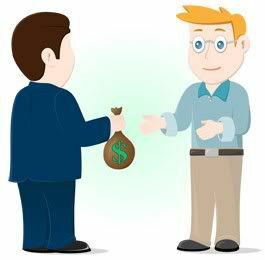 When people buy insurance, they generally do so through an agent or broker who works for an insurance company. These agents then earn a commission based on how much, and what type of policy, they sell you. Therefore, the more expensive a policy is, the more commission an agent will make on that sale and so the harder they will try to sell it to you. Insurance agents work on a commission basis, so be very careful of the advice they give you. Unfortunately, for you as the buyer, this can very often result in you purchasing the wrong type of policy and getting insured for something which you don’t actually need. This is why if you are going to be taking out any type of insurance, it’s absolutely essential that you are fully aware of your options and what you need and don’t need to be insured for. Otherwise, you will just be sold a policy which makes your agent or broker the most amount of money. The best way to avoid this happening, and therefore also the best way to save yourself money when buying insurance, is to educate yourself as much as you can about a particular policy and the different levels of coverage it offers you. Learn as much as you can about a particular policy before you commit to anything. 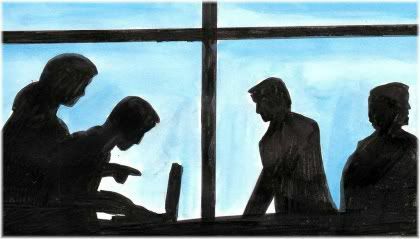 In addition to educating yourself, it’s a good idea to go to an agent or broker that has been recommended to you by someone you trust. As this way, you can be reasonably assured that what they recommend is in fact in your best interest. If you are still unsure about the advice your agent gives you, it’s worth speaking with 2-3 more agents to see if they give you similar advice or if the advice you are receiving from each agent is totally different. When buying an insurance policy, the first things you should insure are the things that will cost you a lot of money to replace. For example, rather than insuring your new laptop, it would be better to get some form of health or disability insurance to cover you in the event that you suffer an accident and become unable to work. Even though it’s far more likely that your laptop will break down than it is for you to get involved in an accident, your laptop isn’t going to cost you very much to repair compared to how much money you would lose if you were unable to work for several months. 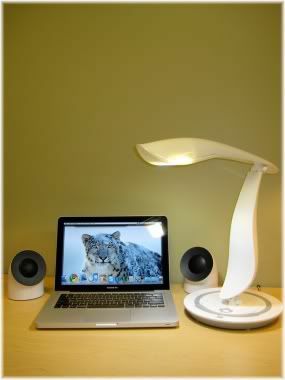 The cost of losing your laptop is insignificant in comparison to the cost of losing your job. For this reason, you should always insure your largest potential losses first. This is a very common mistake that many people make when taking out insurance. They insure themselves for lots of small items, but by doing so, leave themselves with little money to insurance the major risk areas of their life. In many cases, more money is spent on insuring small items than it would cost to replace or repair the items they insured! This is just a waste of money, and largely comes as a result of a lack of understanding about what insurance should be used for. So the bottom line is, always insure the important things first, such as your health, automobile and home, and if you have money left over after taking out those policies, only then should you consider insuring smaller items such as your new laptop or TV. If you live on your own and have nobody to support, then the main types of insurance you may need are health, car, home, renter’s (if you rent) and disability insurance (to cover you should you be unable to work). If you are married you may need life insurance if only one person is working and/or you own your own home with a mortgage. In addition to this, you will also need car, home, disability and health insurance. If you have children then getting life insurance should be seen as a top priority so that your children are covered should something happen to you. 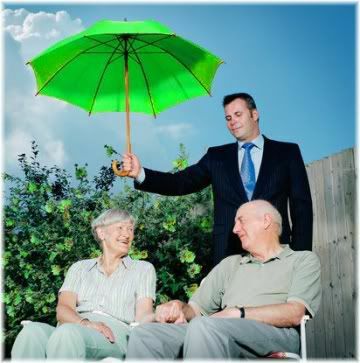 At this stage of life, a term life insurance policy is usually the best option to go for. Health insurance, car insurance, disability insurance and home insurance should also be taken out. Furthermore, since having children may increase the likelihood that your home or car becomes damaged, it’s a good idea to re-evaluate your current policies to ensure that you are fully covered for damages caused by your children. 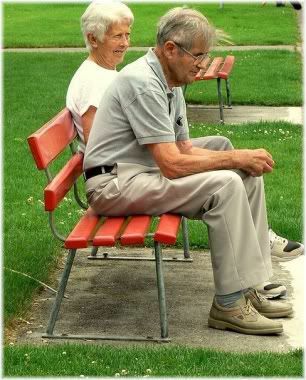 Once you start to get older, insuring your health and life will start to become a top priority. Life insurance should ideally be set to cover funeral expenses and estate taxes, as these could be classed as debts after your death. Your current health insurance policy should be re-evaluated based on your current level of health, and whether or not you feel that your current policy adequately meets your current and future needs. Any coverage policies that you took out when you were younger should also be re-evaluated, as pensioners often get discounted insurance rates. Although, be aware that some of your policies, such as your health/life insurance, are likely to increase in cost due to your advancing age. If you buy a new piece of electronic equipment such as a laptop or television, it will come with a standard manufacturer’s warranty. This will usually last for one year, sometimes three, in which your item can be replaced or repaired for free if it develops a fault. Extended warranties offer coverage past the manufacturer’s warranty, but they can be a pain to claim on and so are usually best avoided. Extended warranties are usually offered by the shop you purchased that item from, and will cover you against faults after the manufacturers warranty has expired. The trouble with extended warranties is that they can be a real hassle when it comes to making a claim. Not only do you have to hope that the fault your item has developed is covered by the extended warranty (which it sometimes isn’t), but you will also have to wait a long time for your item to be repaired. For this reason it is generally recommended to avoid taking out extended warranties, as they are usually just a waste of money. If your product does develop a fault, in most cases, it would work out cheaper and faster to get it repaired or replaced by yourself. 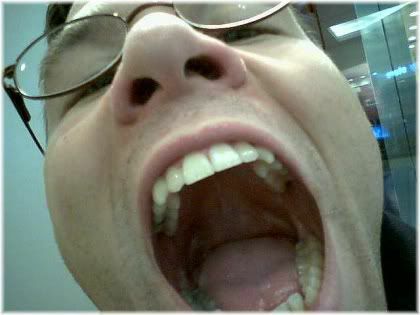 The only time you should take out dental insurance is if your employer offers it to you under a dental plan. 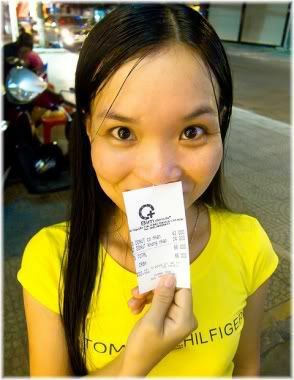 Most dental insurance policies do not cover the cost of expensive dental treatment. Otherwise, dental insurance is not worth having, because it usually doesn’t cover extensive work that you might require. As a result, this doesn’t make it a cost-effective option for the few check ups and cleanings that you will have done each year. 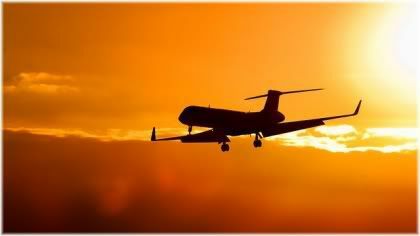 Flight insurance provides you with coverage should you die on a commercial plane. This type of policy plays on people’s fear of flying, and you would be better off having life insurance instead as flight insurance only offers you very limited coverage. Flight insurance plays on people’s fear of flying. 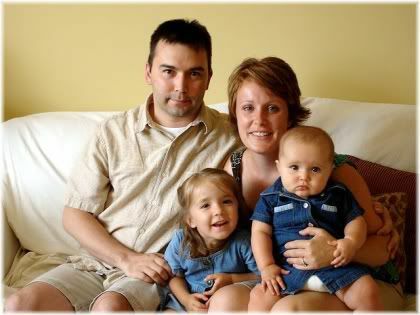 A far better option is to get adequate coverage with a good life insurance policy. A term life insurance policy will pay out regardless of where you die, providing your death occurs within the term of your policy. If this concerns you, and you want to be sure that your dependents will receive a death benefit when you die, whenever that may be, take out a permanent life insurance policy instead. If you can’t afford to take out a permanent policy straight away, take out a cheaper term life policy and then upgrade it to a permanent policy when you have the funds available to do so. 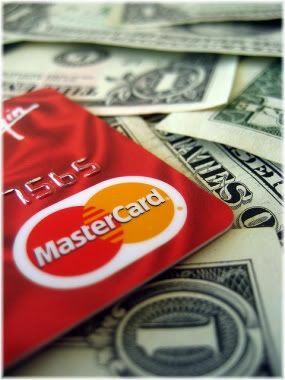 This insurance is sold by credit card companies, and will pay a pre-determined amount if you die with credit card debt. But this coverage usually only applies to one card. So if you have debt spread over multiple credit cards, then this type of insurance is pretty much useless. As you are only insured for the debt on one credit card, this type of insurance isn’t very helpful if you have debt on other cards. You are far better off getting a term or permanent life insurance policy, as this way you will be able to cover your debts and still leave something for your children or your spouse. Life insurance is designed to compensate lost income as a result of a death. 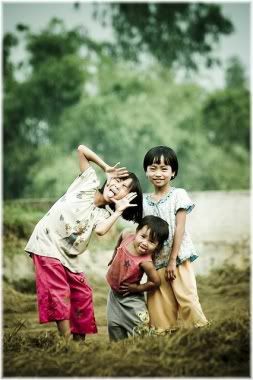 Since children don’t have any income, the small amount of money this type of policy offers parents, such as for funeral related expenses, will be of little help to them. As children have no income of their own, there is little point in taking out life insurance for them unless you are doing so as a gift. A better option is to make sure that you or your spouse is adequately insured, as this will provide the most benefit should you or your spouse die and a source of income is suddenly cut off as a result. An effective way to reduce the cost of any insurance policy is to get the highest deductible you can afford. This is simply the amount you must pay on a claim before your insurer steps in to cover the rest of the cost. The advantage of having a higher deductible is that your premiums (i.e., the amount you are required to pay each month or year for your policy) will be lower than if you had a low or no deductible on your policy. Having a higher deductible also means that you are less likely to file a claim, which, over time, will result in fewer claims on your behalf. As a result of making few claims to your insurer, your premiums will be kept low. Having a higher deductible saves you money on your premium costs, but this also means you will be taking on significantly more risk. For example, lets suppose you have a deductible limit of $100 on your insurance policy. Then something gets damaged in your home, and it will cost you $150 to repair. So you file a claim, and the insurance company pays you $50 towards the cost of the repairs. If you filed this sort of claim once a year, there would be no problem. But because your deductible is low, you are much more likely to file a claim for anything else that needs repairing. As a result, your insurance premium will eventually go up and you will end up paying a lot more than if you had chosen a policy with a higher deductible. If you keep asking your insurer for money for lots of small claims, eventually they will get angry and raise the cost of your premiums. Let’s now suppose that you had a policy with a deductible of $300. The item that you recently broke is going to cost you $150 to repair, but since your deductible is $300, you will have to pay for the entire cost by yourself. As a result, the amount of claims you make to your insurance company are going to be relatively few in comparison to if you had a lower deductible. And the repairs you do claim for, will also be for very expensive repairs which would be difficult to cover by yourself anyway. Since you are making fewer claims your premium will be kept low, and so in the long run, you will save money. If you can afford to take the risk, this is usually the best option to go for. Insurance can be a tricky business, as it seems like there’s always some get out clause the insurance company can use to avoid paying you the money they owe. Hurricane Katrina provides a good example of this. Despite many residents having home insurance which protected them against hurricanes, most did not have flood protection (something which is not included in a standard home insurance policy). After the hurricane was over, and many homes had been destroyed, the residents of New Orleans began to file insurance claims for their property. Many victims of hurricane Katrina found that their home insurance policy did not cover their loss. But rather than receiving a big check which they could use to rebuild their home, they were told that they would not receive any money because they were not covered against floods. Basically, the insurance companies told them that it wasn’t the hurricane which destroyed their home, it was flooding, and so they would receive no financial compensation. As a result of the insurance companies refusal to pay out these claims, many residents of New Orleans are now homeless and have little or no money to support themselves with. Hurricane Katrina showed just how careful you have to be when it comes to taking out an insurance policy, because if you don’t understand what you have signed up for you may think that you’re covered but later on find out that you’re not. Failure to receive adequate coverage from your policy can unknowingly expose to you a great amount of risk which could later prove to be very costly as the residents of New Orleans found out. 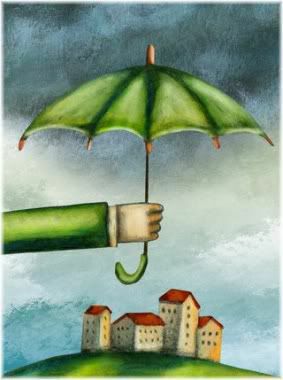 Just because you have insurance it doesn’t mean you will be covered against all forms of loss. For this reason, it is absolutely essential that you fully understand the type of coverage you are receiving from your policy and the things you are not insured against. If you are unsure of this, ask your insurance agent and they will be able to fill you in on all the details. If you do find that you are not adequately covered by your existing policy, then you may seriously want to consider taking out extended coverage to protect you against specific forms of risk. The types of risks you will be exposed to can vary depending on where you live, and if you are unsure of what these risks are, then speaking to your agent again should help you to develop a comprehensive policy that protects both you and your finances. Carefully assess the risks that you face before signing your policy agreement. Otherwise, you could unknowingly leave yourself exposed to large uninsured losses. Be careful, however, not to fall into the trap of becoming overly paranoid, as an agent may simply try to sell you more coverage in order to make a commission on that policy. It is therefore a good idea to cross reference what they tell you with another source, just to ensure that you are being given accurate information and that you are indeed vulnerable to particular kinds of risks. Risks that you would actually benefit from insuring yourself against. Even if you do have a fully comprehensive policy, you may sometimes find it difficult to get exactly what your insurance policy promised it would provide in the event of a claim. This can occur for a variety of reasons, although by far the most common reason for insurance claims being rejected is due to inadequate preparation prior to and during the claims process. So if you can get this part right, then you should find that your claims process runs a lot more smoothly and you end up getting all the money you need to recover from your loss. But unfortunately, this isn’t always guaranteed to happen. Your policy is only as good as the strength of your claim. 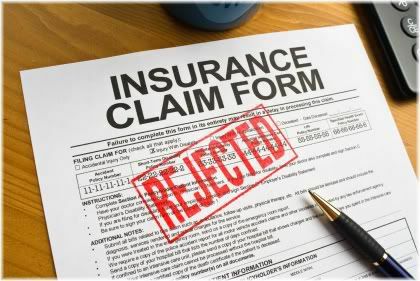 If you have fully documented your claim, and are insured against a particular loss, sometimes you may discover that your insurer is unwilling to pay out the full amount you think you are entitled to. This is obviously not a very desirable situation to be in, because it means that you will suffer an out-of-pocket loss which could turn out to be an amount that you cannot afford to pay. 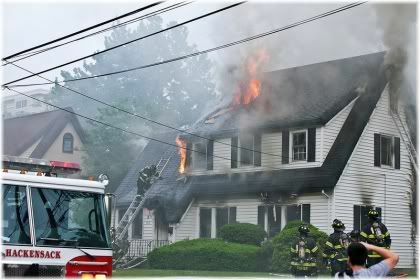 Anything that you have insured which is lost or damaged should be properly documented. For example, if you are in a car accident, take the name of the driver, their licence number, address, make of car and contact details of any witnesses who saw the accident. 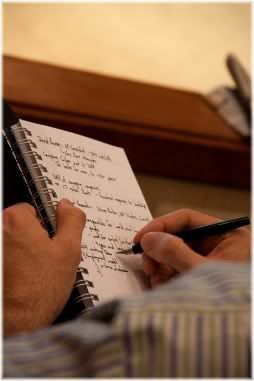 Be sure to fully document your losses so that your insurer knows exactly what you’re claiming for. If your property is damaged, take pictures of the damage or record it using a video camera. 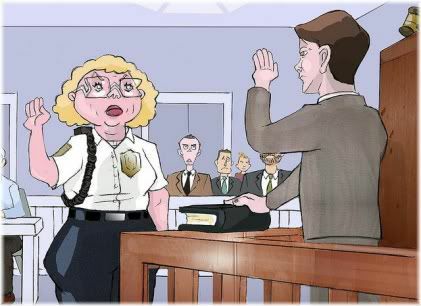 If it is appropriate, file a police report and get the police involved so that they can document it themselves. Finally, for any damage that you wish to claim on insurance, get several estimates on what it will cost to repair so that you can then present a reasonable figure to your insurer for your claim. When you file an insurance claim someone will come to assess the damage, and you will then be told how much your insurer is willing to compensate you for. To get what you are owed you need to prove the value of your losses. Sometimes the amount that you are offered is lower than what the repair actually costs. If this occurs, find out why you are not being offered the full amount and provide evidence which supports your initial claim. This could include receipts or estimates you have received from other people. If they still refuse to offer you more, ask to speak to a supervisor or manager to get the amount you are entitled to. You won’t receive any compensation if your loss is not covered by your policy. If you file an insurance claim, the first thing you should do is to make sure that your policy actually covers you for your loss. If it doesn’t, then there is little point in filling a claim. If at any time you write to or speak with your insurer, make sure that you keep a record of all communication you have had with them should you need it for future reference. 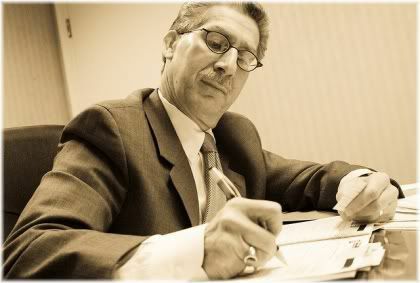 If your claim has been refused for a major loss and you are unable to rectify the situation by yourself, hire a lawyer who specializes in insurance concerns. You may need to seek professional help when dealing with a stubborn insurer who refuses to pay out. This will obviously be expensive, but if there is a significant amount of money involved then it will be worth doing. 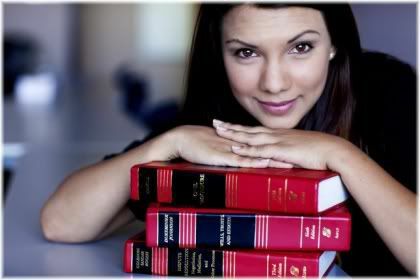 In some cases, you may later be able to claim back your legal fees against your insurer should the court rule in your favor. 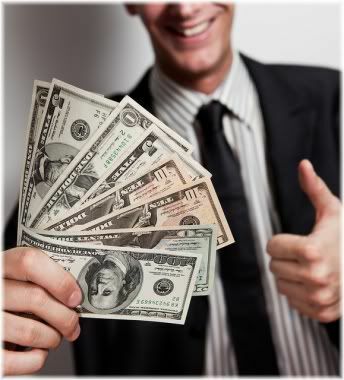 An insurance company is a business, and they are there to make money not to make friends. 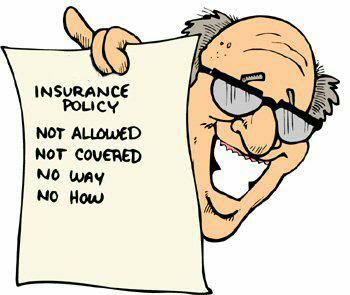 So always be absolutely clear as to what your policy covers you for, because if there is a way the insurance company can avoid paying you, they will use it. Insurance is a business, not a friend. 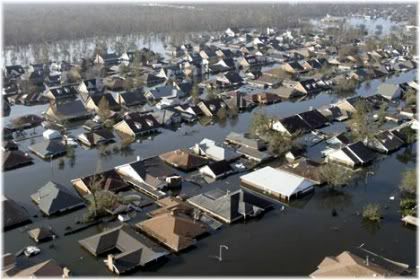 Hurricane Katrina victims have experienced first hand just how ruthless the insurance companies can be. So remember that no matter how nice the salesman was when you were sold your policy, business is business, and so you better know what you’re doing because they certainly do!